OMG... Jeffrey Campbell wedges and Tiger clasp necklace.. to die!!! love love love!!! I'm absolutely in love with that romper! Jeffrey Campbell ~ great shoes as always! Merci beaucoup d'avoir pris le temps de lire ce msg. Lovely haul :) Love the tiger clasp necklace! Me encanto la maxi skirt...soy fanática de las polleras! Besos y saludos desde Argentina!!! 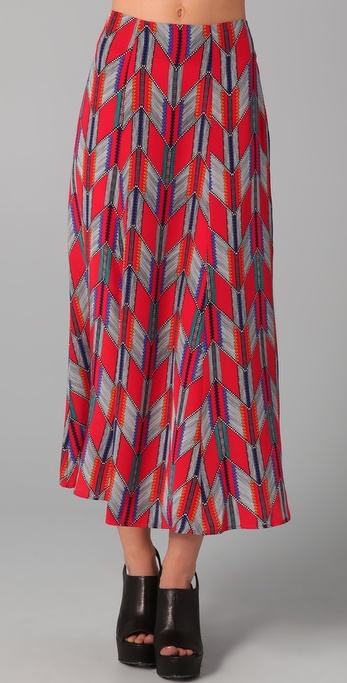 Wow that Mara H maxi is gorgeous, the print is fantastic! Love the Kain Label Piper Tee! I love that second top! So simple but pretty! Thank you so much for your nice words and for reading my blog it really means a lot! You are so pretty! When did you start blogging? I love those Jeffrey Campbells! He makes some of the best, most unique shoes. I would want to covet those platforms too! Sailor romper is very cute!! bonitos articulos, pero Givenchy es de lejos lo mas impresionante! the skirt is amazing!!!!! thanks for your comment on my blog!!! omg, awesome items! such a great selection, i like everything! you have a great blog! hope you'll visit mine as well, and if you decide to follow me i'll make sure to follow back! The J.C Shoes is just AMAZING ! I love it. Ps enter my design sponge giveaway! Wow I love that skirt and those shoes! i would so wear that skirt! Great post! I love the romper and the shoe! Nice post honey!! !Thanks for sharing and for the inspiration!!! I love the shirt and the necklace is amazing. Thank you for joining my blog! Greetings from Finland! Thanks so much for the sweet comment. Love all of these items especially the shoes and romper. Loving that red skirt!! So chic! Great picks ;) Also, thanks for stopping by my blog and your lovely comment! I am now following you on bloglovin. Hi! I am following your RSS feed :) You have a great blog! I look forward to reading more. The jeffrey Campbell are beautiful! I love the pump A LOT! Please do visit LIFO. It is a social network for girls that focuses on the latest fashion trends, celebrity gossip, social causes, beauty and health and lifestyle issues.